Whilst developing an international presence in China has become a priority for many brands, South Korea is one of the biggest e-commerce markets in the world. With online sales of $40.6bn in 2017 it is the third largest market in Asia behind China and Japan and the seventh biggest in the world. With 30 million ecommerce users (from a population of 51 million), it has one of the highest ecommerce shares of retail sales, with online accounting for 10% of total retail sales in 2017 (by comparison, the USA was 9%). Internet speeds are the highest in the world (it is ranked number one, above Norway, Sweden and Hong Kong). Mobile use is another, with 60% of South Korea’s internet users accessing the internet via a smartphone. The high smartphone use is unsurprising given most of the population can be found in major cities such as Seoul, where half the population live. Public transport networks are excellent. Most city dwellers use public transport daily, an environment that fosters the use of mobile devices and online shopping. Retail sales via mobile commerce are expected to reach $35.4bn by 2019. The largest categories online are fashion and toys, hobby and DIY but the main growth category in South Korea is online grocery which grew by 41% in 2017. Time poor, double income families are one factor driving the growth, coupled with the rise in one-person households (35% of the total population in 2016). In terms of social media, Facebook and Twitter have a presence but it’s the KakaoTalk messaging app which is the most popular and can be found on 97% of smartphones in South Korea (with one-third of shoppers using social media payment gateways when shopping online). Google is popular too in South Korea, but Naver is where customers tend to go when looking for news, products and bargains. It sees more than 300 million search queries and 18 million video streams daily. There are also some interesting trends particular to South Korea: the beauty market is among the top ten in the world and Unilever recently bought Carver Korea, one of the fastest growing skincare brands in South Korea. There is also a growing focus towards “small but certain happiness” or “Tangjin-jam” with younger consumers becoming more active in searching and buying things that make them happy, such as toys and cosmetics. 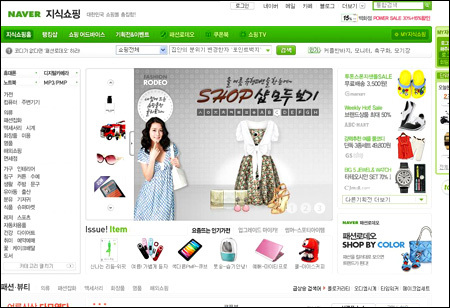 The size of South Korea’s ecommerce market makes it an attractive proposition for businesses. The key is finding the right proposition and partners to help enter the market. For example, JD Sports have recently invested in Hot-T, a South Korean footwear retailer with twenty stores and ecommerce, as part of their international expansion. They intend to rebrand the Hot-T stores as JD once they have built a brand presence.